For the students of health professions and practitioners including the therapists and chiropractors it is the best reference source. 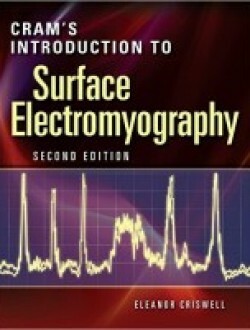 It explains comprehensively about the surface electromyography. It has full coverage about the introduction of SEMG and even how it can be used to treat the various neuromuscular conditions. It provides knowledge about the development of SEMG, assessment, treatment and even instrumentation including the detailed atlas for electrode placement. This updated edition has been expanded with two new chapters on the assessment and treatment of neomuscular disorders that provide the readers knowledge about these new concepts of SEMG and even quick reference feature has been added that is created by Glenn Kasman that ensures the continue and depth study about this field. Even few alterations are done in the chapter Dynamic Assessment and Treatment of Musculoskeletal The text has been explained with the quick reference section and the colorful photographs and line drawings make it valuable for the readers. Even the included atlas has been provided with the 68 electrode placements sites and even it focuses on the increasing use of SEMG with the data from latest research works and studies.